Paroxysm ($0.11) Price History from major stores - Exodus - MTGPrice.com Values for Ebay, Amazon and hobby stores! 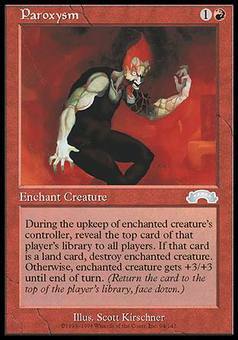 Card Text: Enchant creature At the beginning of the upkeep of enchanted creature's controller, that player reveals the top card of his or her library. If that card is a land card, destroy that creature. 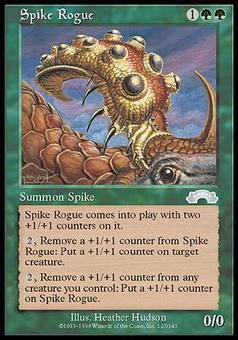 Otherwise, it gets +3/+3 until end of turn.